SAY HELLO TO CHAINSAW CHARLIE! 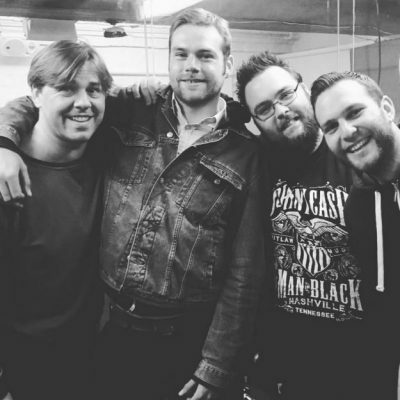 Ace Essex pop-punks MR HAPPY CHAINSAW have unveiled another new video from their current comeback EP, It’s Not My Ball. ‘Charlie’ is a completely reworked classic by the band, who split up in 2009, only to reform last summer. The video was created after a call out on social media inviting fans to send in 10-second clips. The band have a bunch of dates lined-up, kicking off with a Musicians Against Homelessness gig on Friday 29 September. Taking place at Essex’s leading punk venue, The Asylum in Chelmsford, the gig will also feature sets from KOOPA, SHOOTING GALE and WOLFE SUNDAY. Tickets priced £4 are available here, and £5 on the door if available. Donations will also be collected on the night. It’s Not My Ball is available to buy here. ‹ AT THE DRIVE IN ANNOUNCE DATES!